I was organizing some photos when I realized that I never blogged these! 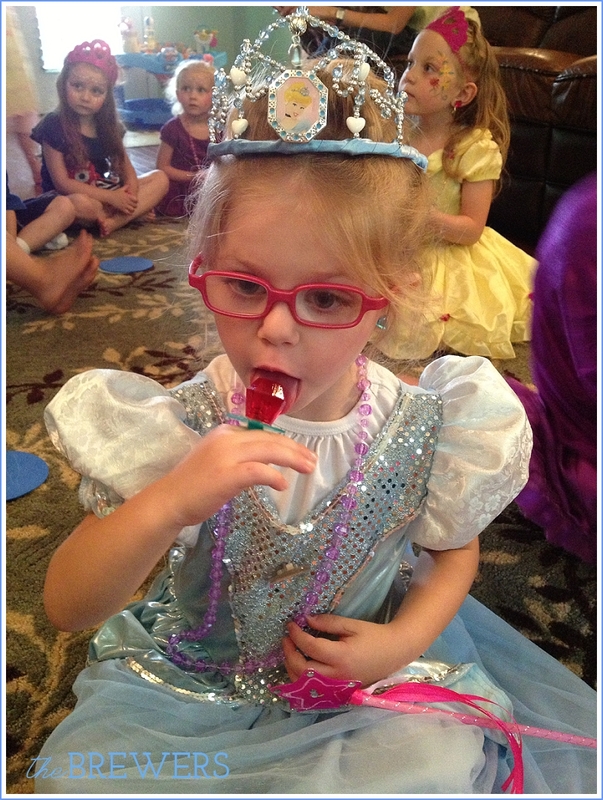 Back in June Autumn went to a Princess Birthday Party for her friend Kaitlyn, or "KK", from church. 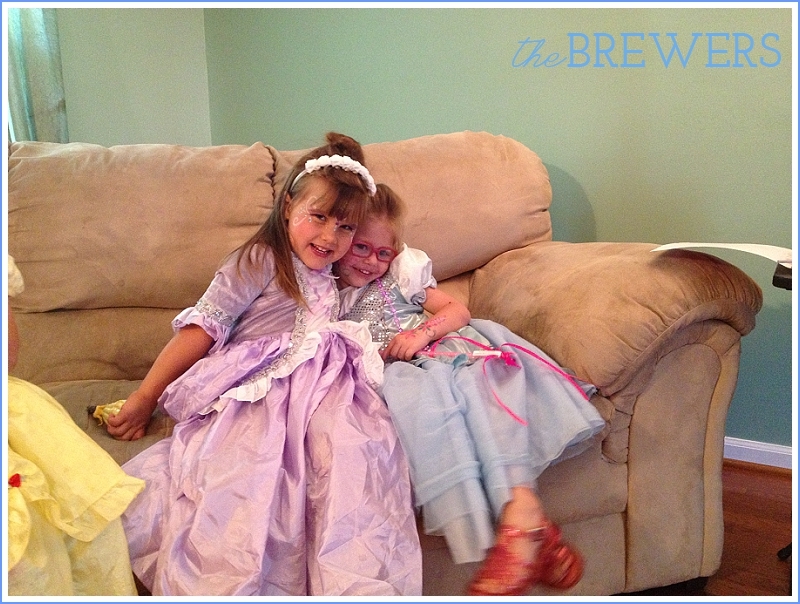 Autumn was supposed to come dressed like a royal, and she opted for Cinderella. 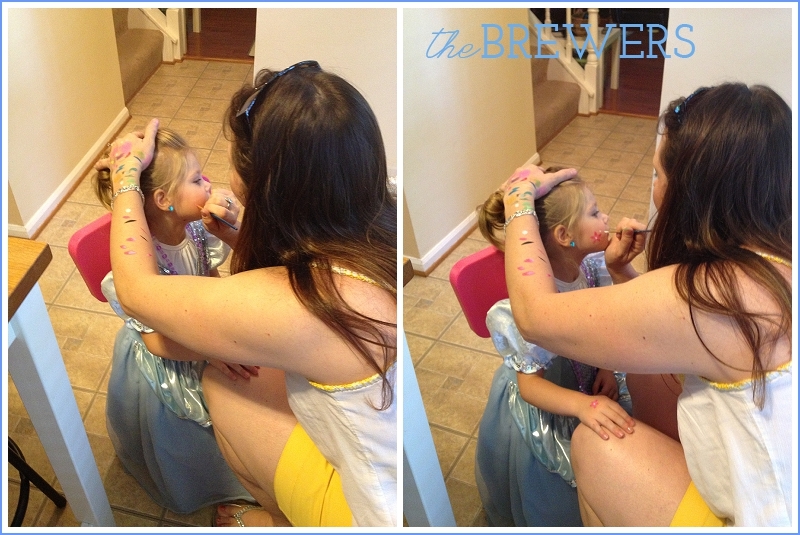 It was so much fun getting ready ready to go. We even put on a little bit of make up (which she now insists she wear every now and again) and did her hair up in a proper Cinderella bun. Autumn can sometimes be painfully shy. It took a little while for her to warm up, even though she knew half the girls. I stayed with her the whole time so she was comfortable. 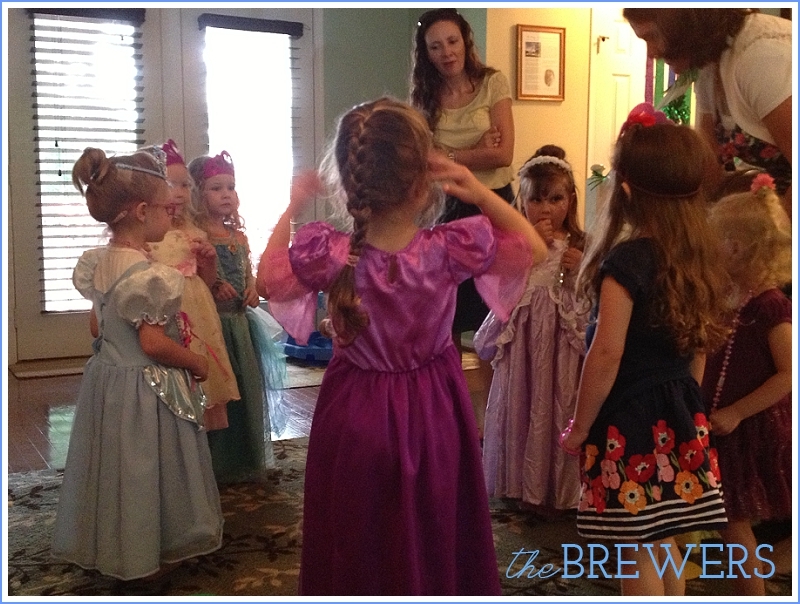 They had dress up races, face painting, and a yummy tea party with treats and cake. 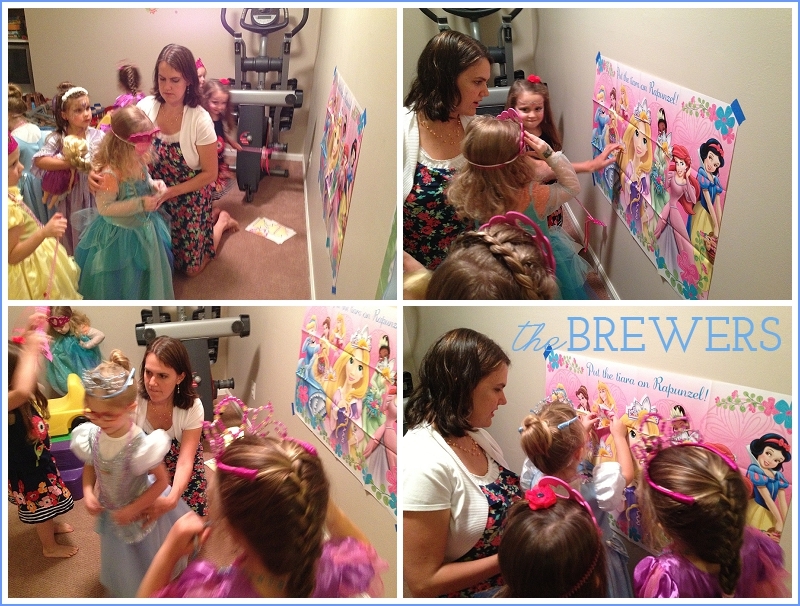 This was the first party Autumn has been invited to that she was able to attend and it was so much fun. I could tell my friend Molly put in a lot of work! 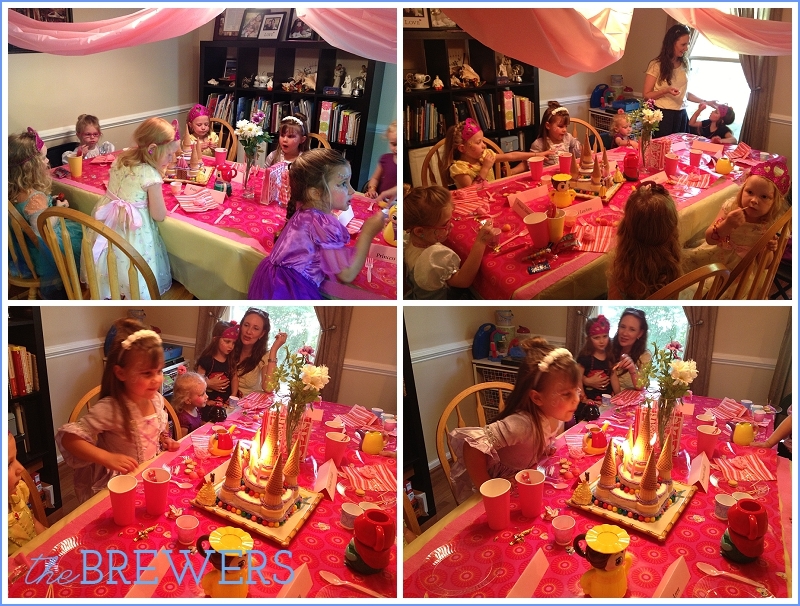 We had a blast and I'm so glad Autumn was able to share Kaitlyn's big day with her!